Down the Badger Hole, a showcase of Lionel Fanthorpe’s greatest moments at the Badger Books fiction factory, was first published in paperback by Wrigley-Cross Books in 1995. 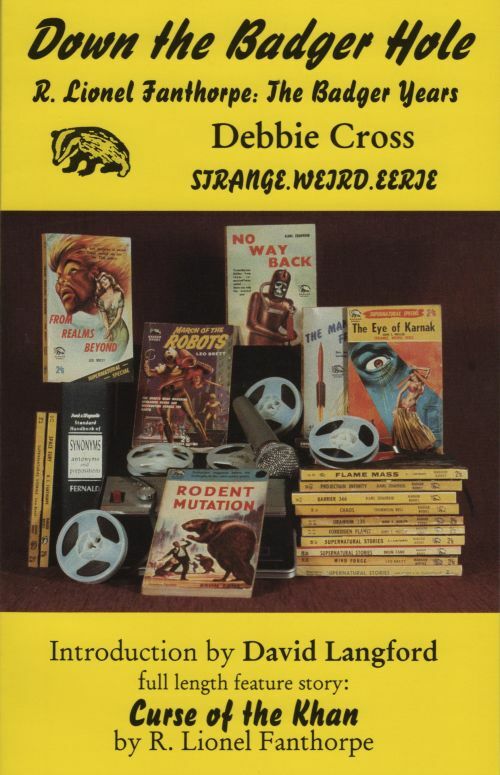 Besides many story and novel excerpts the contents include introductions by Lionel and Patricia Fanthorpe, David Langford and Debbie Cross, a detailed bibliography, and the complete tongue-in-cheek story “Curse of the Khan” in which Lionel and six of his pseudonyms battle supernatural horrors. The Bibliographic Supplement (Wrigley-Cross Books, 1999), edited by Debbie Cross and Brian J. Hunt, adds more bibliographic detail and a further selection of quotations.